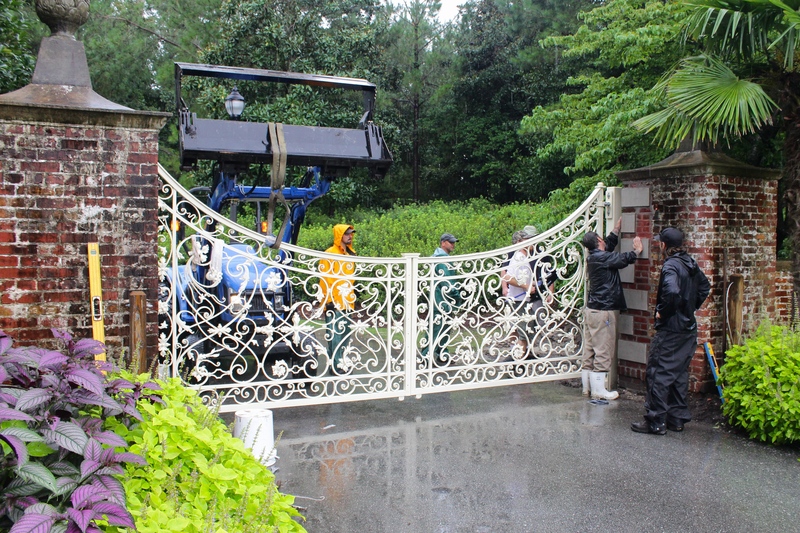 Crews work to reinstall the Airlie gate at the front entrance to Airlie Gardens on Monday, Aug. 4. Dating back to the 1700s, the historic and recently renovated Airlie Gardens gate was reinstalled on Monday, Aug. 4, by Airlie Gardens grounds crews and metalsmith Ben Kastner, who restored the gate. The gate stood at the front of Airlie Gardens since the 1920s.